Budgeting does not mean that you need to stop throwing parties to celebrate birthdays or a wedding anniversary. Instead you need to flex your creative muscle and create a foolproof plan to help you entertain on a budget. 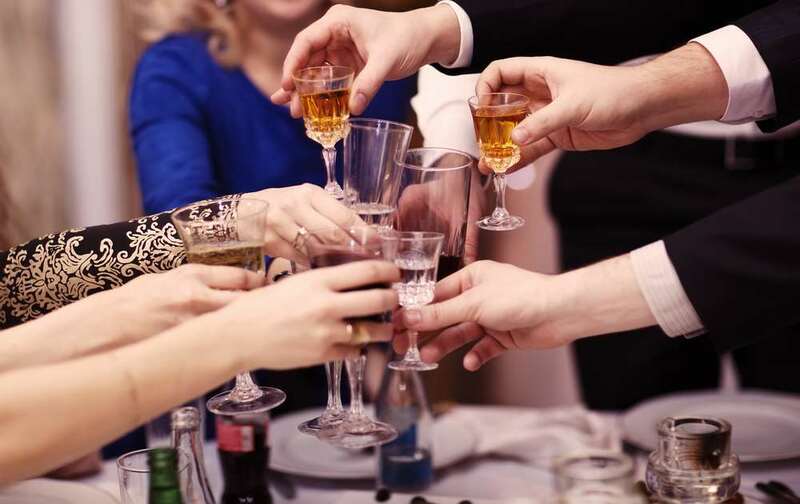 Once you have your guest list drawn up you can use the tips given below, which we have created after years of entertaining on a budget at home and office, to create an ultimate party plan. Inviting guests does not have to be long draw process that includes stationery or driving. Instead you can use a free service that allows you to create invites and send them to email addresses. Such services also collect RSVPs and notifies you about them, drastically reducing the time and effort that goes into throwing a party. Hosting a party means ensuring people have enough to eat, and food often includes snacks and then a large meal that consists of several courses. So it’s no surprise that food becomes a big expense and consumes a large part of your budget. To keep the money spent on food within a reasonable amount you can create a potluck and each guest can bring a dish that lets their expertise shine. Otherwise create a party that is held late at night after each guest has had dinner at home, and only provide several types of desserts. Food at a party often includes chips or a cheese board and you can reduce the need for buying several different types of chesses which can quite expensive. Instead create a spicy and sweet barbecued Haloumi as a starter. Also place your food in big plates and allow guests to dip into them to share, and ensure that you buy whole vegetables that are in season to keep costs low. Offering guests a number of choices when it comes to drinks can quickly result in you overshooting your budget. Creating a specialty cocktail after taking the guests preferences into consideration will go a long way towards ensuring they have a good time and you keep within budget. Music is essential for setting the mood in a party and using an MP3 player and creating a list of tracks that can be played is the best choice if you are entertaining on a budget. Buying items specifically for the party such as disposable plates, forks and knives will only result in you spending more. So bring out plates, cups and glasses that you own and use them even if they of different colors and style. If you already own candles use them to create the décor for the party and rearrange them along with a similar colored frames or painting so that they draw attention towards specific points in a room. Rearranging furniture also helps as it brings a new look and feel to the room. Planning a party does not mean buying a load of ice cubes for drinks, flowers for tables, landscaping the garden or buying new rugs when things spill on them. So plan in advance and handle landscaping with stones and flowers in your garden and tackle spills within minutes. Planning ahead allows you to throw budget friendly parties where guests feel special.